Are you looking for a new look that will really get people talking? Or, maybe you are trying out your chops as a blue-themed superhero or a swashbuckling swordsman, and need a reliable way to keep your identity safe? We suppose you could just wrap a blue bandanna around your face, or tie a cloth around your head and cut holes where your eyes go (before putting it on, hopefully! 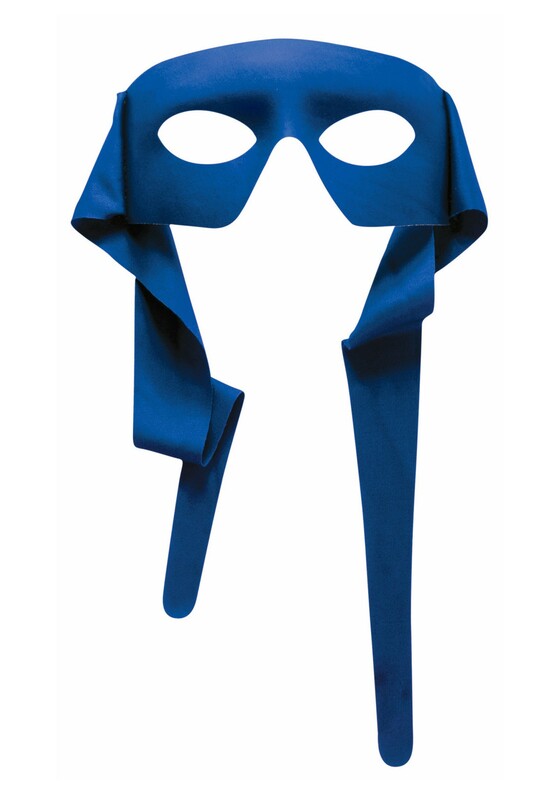 ), but those don't really scream "dashing blue superhero/musketeer/masked pirate!" What you need is this Blue Tie-On Eye Mask to achieve the kind of look that says you mean business, and that business involves wearing a blue mask! The part that covers your eyes is made of molded polyester, and the ties on the sides are cloth for flexibility. So, this mask maintains its shape while staying nice and comfortable. All you'll need to do now is decide what to do with your new blue persona!